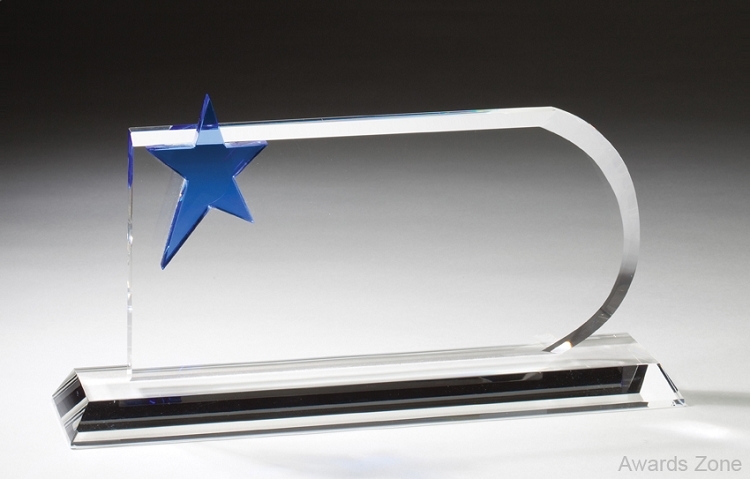 Optical Crystal Award Cool Blue Star 12”x 6½” A nice Recognition Award to reward outstanding work. A plaque design offers ample room for personalization. Free engraving. Clear crystal long rectangle with curve and blue crystal star in corner.